Bucher Vaslin North America offers a complete range of services to fullfilled winemakers need and expectations. We work hand-in-hand with winemakers to develop innovative, fully integrated and attractive solutions for any winery. 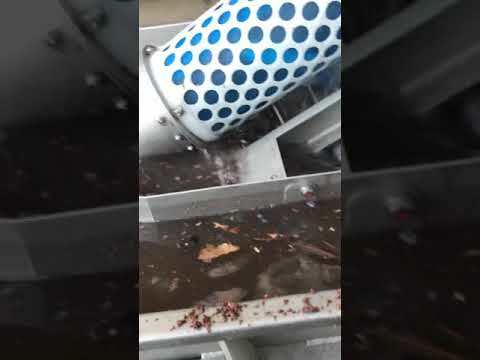 - Bucher Vaslin Grape Reception equipment: From preparation to sorting... destemmers and crushers... hoppers and elevators...we've got you covered. - Bucher Vaslin and Sutter Presses: Recent developments in pressing under inert gas guarantee 100% of your pressed juices without oxidation. 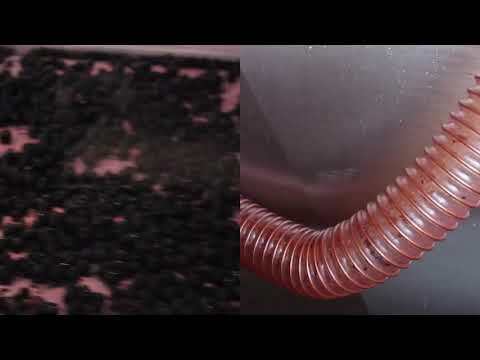 - Maceration Vinimatic: Automatic and self-emptying tank. Ideal for a well controlled, top-quality vinification. Use our technological know-how and trained network of field contacts to quickly implement efficient and economical winery solutions. Every piece of winery equipment from Bucher Vaslin is designed with your winery size and production in mind. Each piece can standalone or work fluidly together... for a full, turn-key winery solution. Ask us for a timely quote and setup options. Our sales associates can match you with the best equipment and layout options for your winery's size and output. Grade grapes for sorting with unprecedented precision. Color camera for up to 10 tons/hour. For nearly ten years now, Lamothe-Abiet focused on studying the interactions between wood and wine and developed Œnobois® range, oak for enology. ALIEN is a patented robotic system using an optical sorting technology to remove MOG after the harvest. It was developed by the French company CITF, a major player in the optical sorting robot industry. If you missed our live technical webinar, there are still available for you to watch. Please, feel free to subscribe to our YouTube channel or go on the website www.bvnorthamerica.com/webinars. 5 Common Challenges in Cider Making Solved! For more information and any question, contact Eglantine Chauffour. Bucher Vaslin North America (BVNA) is now offering an extended range of winemaking solutions, from grape reception equipments to bottling lines and labeller including winemaking products and pumps. BVNA is proud to match our industry leading technology, products and knowledge with your winery's needs. Sometimes beneficial but often detrimental, oxygen plays a crucial role in winemaking and wine quality. When not controlled, oxygen can be responsible of many wine faults, such as premature ageing, browning, loss of freshness, balance and identity. It is important to understand oxidation reactions and how to control oxygen pick up to use it as a tool in wine favor. Please join Lamothe-Abiet and Bucher Vaslin North America for a 40-minutes webinar to understand the key points of oxygen management in winemaking. 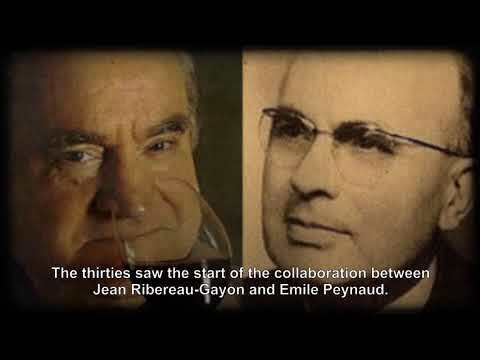 With 140 years of expertise, Lamohe-Abiet is one of the first oenological products brand developed in France. We offer a wide range of winemaking and cider making products and are now available in North America. For more information, contact Eglantine Chauffour. New year = new projects! After enlarging our portfolio with winemaking products, bottling lines and wine pumps, we are proud to annouce our new website and YouTube channel. Visit us at Unified Wine Symposium #Booth F2. - IT and Winect platforms to stay connected to your Bucher Vaslin equipment from anywhere, anytime. Visit us at the WIN Expo! - Oak for Enology from Lamothe-Abiet. For nearly ten years now, Lamothe-Abiet focused on studying the interactions between wood and wine and developed Œnobois® range, oak for enology. 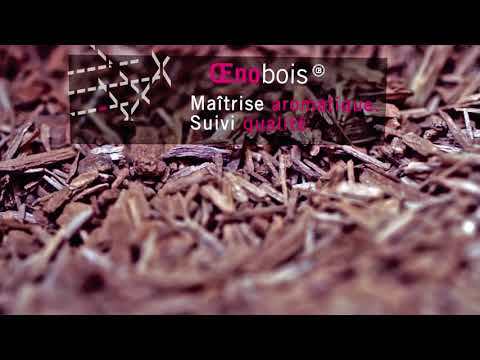 Developed by Œnobois® offers a broad palette of oak selections to reveal the character of your wines. Produced in our The entire cycle of production is controlled by Lamothe-Abiet: development of new products, selection of raw material, toasting, production, marketing and sales. Our products are developed and controlled by a team of winemakers and aromaticians who guarantee the precision and the reproducibility of the aromatic profiles. For more information on Oenobois® range. See you soon at booth #140! Principal factors influencing the development of lactic acid bacteria (LAB): npH, temperature, alcohol and SO2 (Free and Total) impact ML bacteria development and health, making the completion of MLF difficult when combined. Additionally, vineyard sprays, initial malic acid content, yeast strain used for alcoholic fermentation and wine polyphenol content can be stress factors. Problems can arise when pH <3.1, alcohol >15%, wine temperature <50°F or >86°F, total SO2>50 mg/L and/or free SO2>12 mg/L. ð Secure MLFby giving bacteria a favorable environment with lower alcohol concentration, better nutrient availability, less medium chain fatty acids (bacteria inhibitors), warmer temperature and better acclimation. With co-inoculation, it is important to address the concern of possible production of acetic acid by lactic acid bacteria. The yeast/bacteria couple used will have strong impact on limiting the risk of stuck/sluggish fermentations and the production of acetic acid. Lamothe-Abiet developed a specific yeast/bacteria couple for co-inoculation: Excellence XRand Oeno1 for reds, Excellence TXL and Oeno1 for whites/rosés. Does LAB strain matters?Uncontrolled MLF is often conducted by spoilage lactic acid bacteria such as Lactobacillus, Pedioccoccusand wild Oenococcus. It usually generates biogenic amines production, volatile acidity, mousiness and negative off- flavorssuch as rancid, sweat, rotten fruit, and loss of balance and identity. Inoculating with selected bacteria strains reducesthe risks of microbial spoilage, ensures completion of MLFand gives better controlover wine aromatic profile and mouthfeel. Oeno1, selected for its resistance to difficult conditions (high alcohol, low pH) and its high implantation rate (high survival rate, short lag phase). It is a strain of Oenococcus oeni that produces low amount of diacetyl and biogenic amines. It expresses varietal characteristics and enhances fruity aromas. About nutrients for ML Bacteria: After alcoholic fermentation has completed, yeast usually leave a wine deficient in vitamins, amino acids, minerals and other necessary nutrients for ML bacteria. To detoxify the environment, activate ML bacteria metabolism and ensure MLF completion, use Optiflore O at the beginning of MLF. Optiflore O is a 100 % organic nutrient, that brings essential nutrients for yeast and malolactic bacteria and reduces the content inhibitory medium chain fatty acids and pesticides residues in wine. For more information, please contact Eglantine Chauffour at eglantine.chauffour@buchervaslin.com. Bucher Vaslin North America continues to reinforce its wine press business as an exclusive representative for Sutter presses throughout North America. Bucher Vaslin North America will provide sales, spare parts and service for Sutter presses through its excellent network of dealers, who also represent the full line of Bucher Vaslin equipment. “We are excited to be able to extend our press offerings to include Sutter wine presses from 25 HL to 90 HL for our customers who prefer the open cage press style,” says Mea Leeman, Director of Sales and Marketing for Bucher Vaslin North America. The Sutter pneumatic grape press has worldwide sales and recognition thanks to its performances, technology and high quality of the musts obtained. Each press excels at the pressing process, with a large surface of draining and an easy cleaning of the Sutter slotted-cage press. Bucher Vaslin North America is a subsidiary of Bucher Vaslin SA and Bucher Industries, who acquired the Sutter wine press operations from the Swiss–based Filtrox Group in 2011. The Sutter line of presses is now fully integrated and manufactured by Bucher Vaslin SA in Chalonnes–sur-Loire, France, who also produce the Bucher, Delta and Flavy equipment brands. Learn how the Delta Oscillys destemmer can work for you, with variable settings for speed and motion. Customize the right destemmer for your winery's needs. Explore Sutter wine presses from 25 HL to 90 HL for customers who prefer the open cage press style. Use Sutter pneumatic grape press' worldwide recognition and performance to produce high quality musts.